Pick up:9.00 a.m. Drop off: 5.00 p.m. This is our most popular ride for those looking for a relaxing yet all-inclusive, itinerary. One that includes quaint villages, castles, wineries, and vineyards and manages to do this all (well, almost all) on a gentle downhill trail. 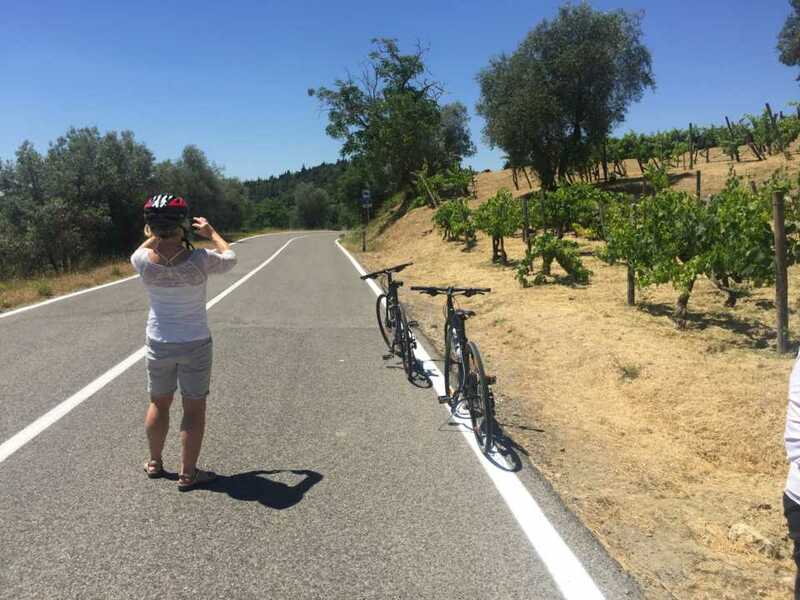 In a word, the San Gimignano Easy Bike Tour is perfect. 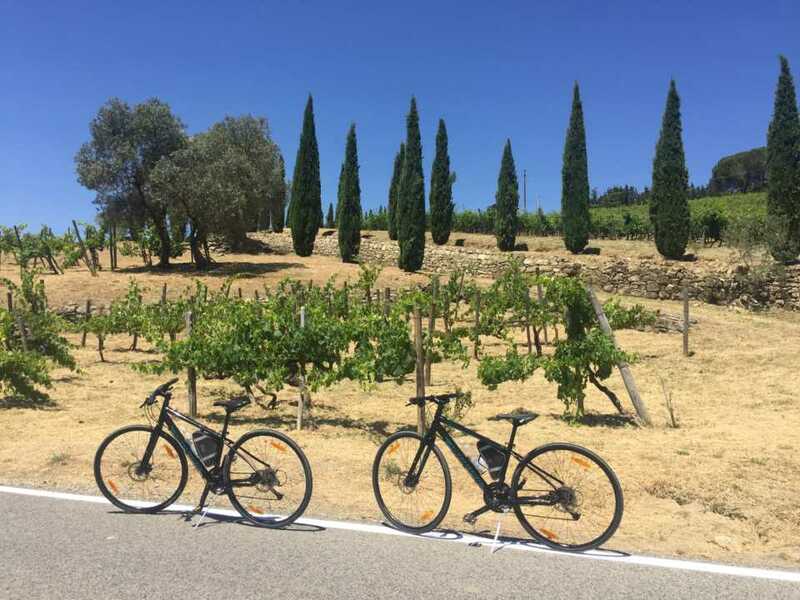 We start this one-day bike tour with air-conditioned van transport from Florence through the amazing landscape of Chianti Classico, stopping for a few great photos of the tower town San Gimignano in the distance. 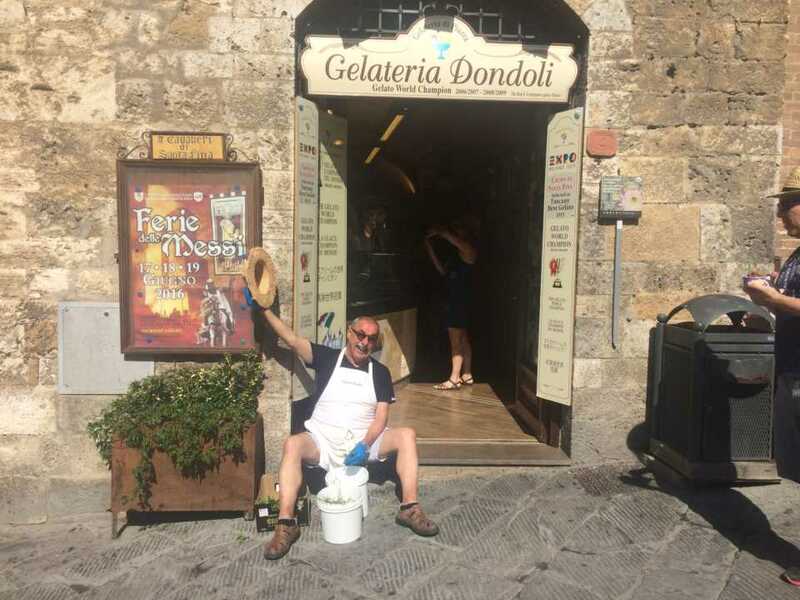 While moving forward to our first destination we can dedicate some time to enjoying a real cappuccino made in Chianti! 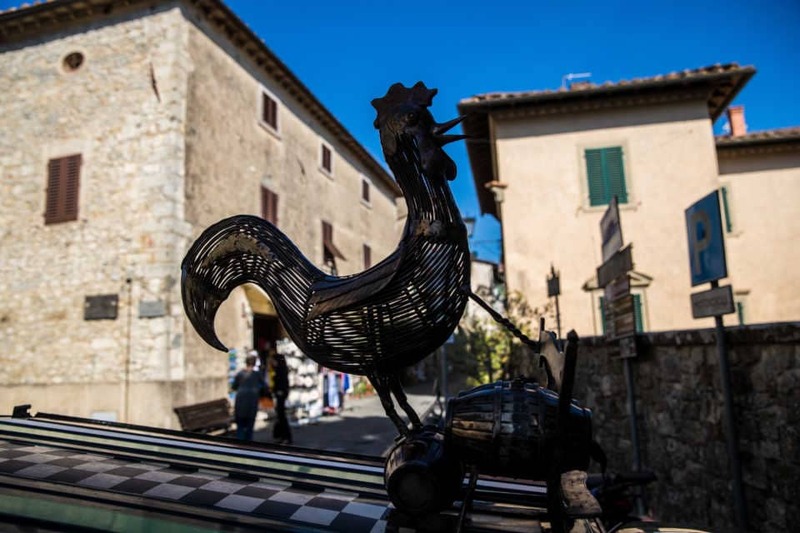 Our first town visit is the picturesque Castellina in Chianti. 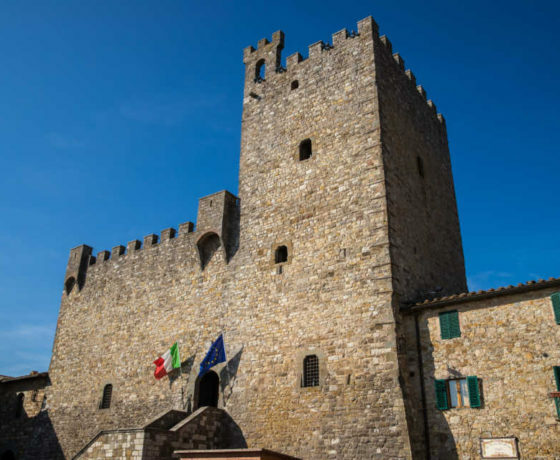 Here we will have plenty of opportunity to explore the cobbled stone streets and the castle tower of this enchanting town. 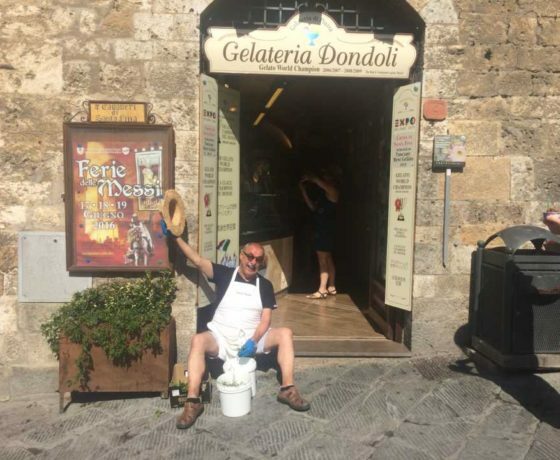 Upon request, you can even indulge in a glass of Chianti & Vernaccia wine with Tuscan salami and pecorino cheese or a cup of gelato. These are the best ways to energize before starting to cycle! Traveling with kids under 12 yrs old? Looking for the family favorite “city escape” from the museums, monuments & tourist life? 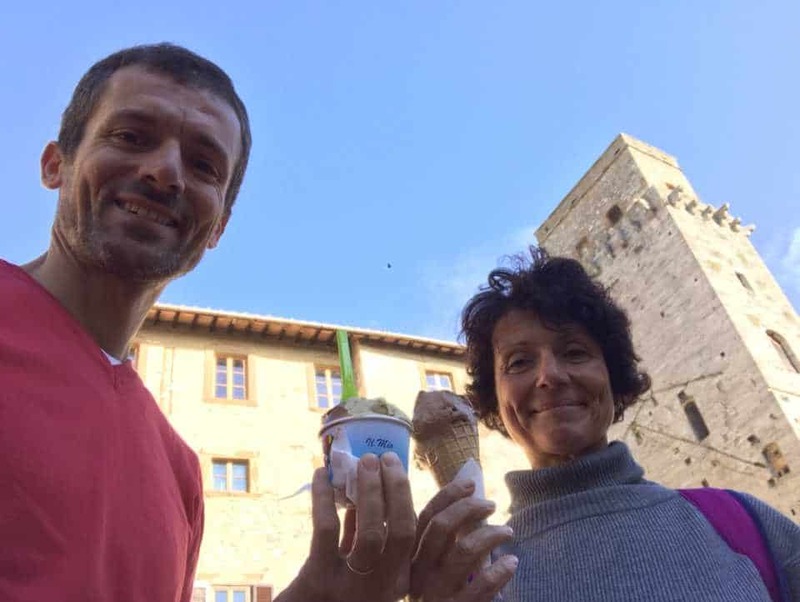 San Gimignano, Monteriggioni and Siena in one day from Florence? 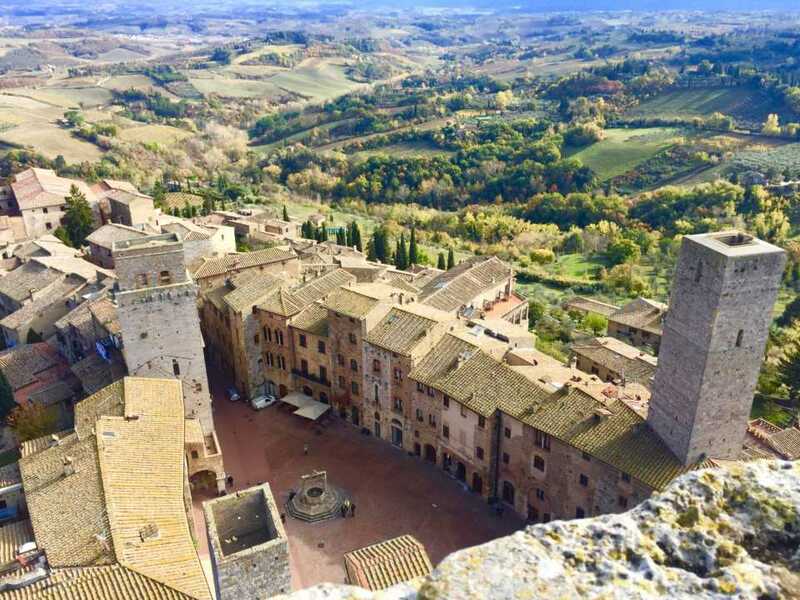 Wish to visit Siena including wine tour & tasting? After a short introductory visit of Castellina, we begin the biking part of the tour. 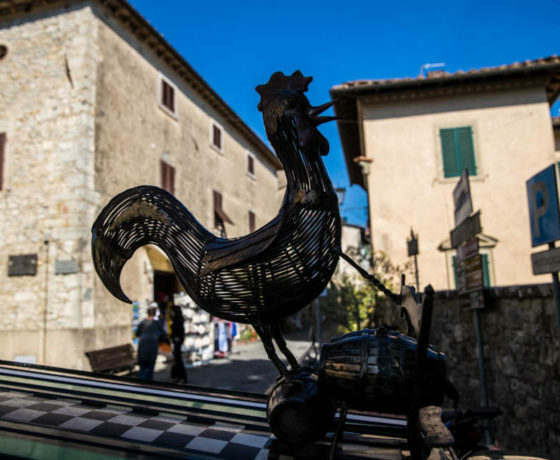 Our path will take us on a gorgeous, traffic-free road in Chianti. Along the road, you will be surrounded and seduced by the typical fragrances of the Mediterranean including wild rosemary and sage, pine wood, cypress, juniper and so much more. We promise a “scent”-sational experience! We make use of a very beautiful road heading downhill through vineyards, forests, fields and little villages. This itinerary allows for plenty of time to appreciate the views and take many lovely photos. 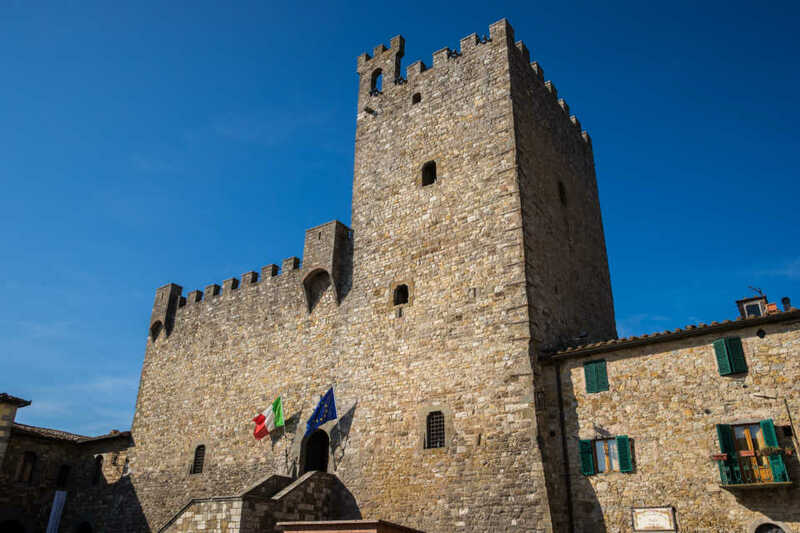 Once we come to the end of the biking portion of the tour, we put away our bikes, hop on the support van which will take you to San Gimignano, an ancient village famous for its towers, medieval atmosphere, and the much coveted UNESCO World Heritage Site nomination. Use your free time to thoroughly visit the town and have lunch. 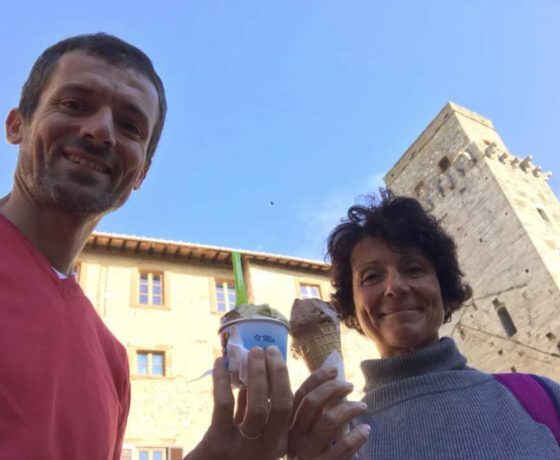 Piero & Elena will provide a map of the village as well as the best recommendations for a delicious Tuscan lunch + best home-made gelato! The tour ends with a van transfer back to Florence. Euro 150 per person for min. 4 people. Your pick-up and drop-off in Florence – at or very near your accommodation downtown. Full guidance and van support. High quality light-frame disk brakes 27-speed hybrid bike, helmet, water bottle. 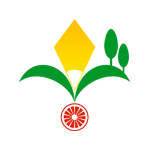 We will be glad to pick you up even if you are staying outside Florence. Please contact us for further details and personalized arrangements. 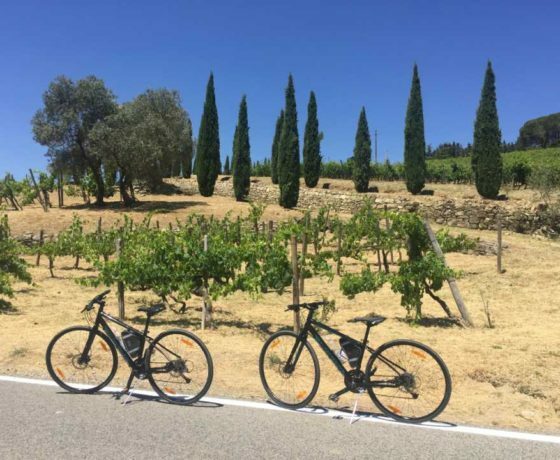 My fiancé and I did the bike tour for wine lovers! It was gorgeous!! Piero and Elena were very fun and helpful and focused on what they could do so we would have a great time.